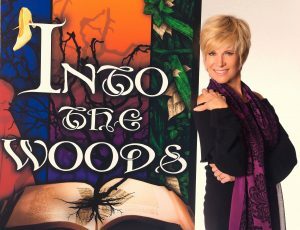 Boone is in Colorado for a few weeks this spring, headlining the cast of “Into the Woods” at the Candlelight Dinner Playhouse in Johnstown. My wife and I were able to sit down with her at the theatre this afternoon, following several hours of rehearsals. And yes, she does “light up” the area wherever she goes. She has no pretense, and showed no signs of weariness after several hours of rehearsal. She visited with us about her life’s highs and lows, and how challenges have only served to fortify her! She was born into a musical family. Her father, Pat Boone, continues to perform. She is obviously very proud of her father and reported that he is good health. We saw him two weeks ago in the movie, “God is Not Dead-2,” and Debby noted she had not yet seen the film. She speaks with respect of her famous family, noting that she and her mother-in-law Rosemary Clooney got along very well. “I was always a little shy with my father-in-law, Jose Ferrer, however, as he was so well known and so very intelligent.” Her husband, Gabriel is a priest in the Episcopal Church, and is cousin of actor George Clooney. She and her husband collaborated on several children’s books, which were all illustrated by her husband. At Candlelight she is playing the lead role of the witch in “Into the Woods.” This is the first time she has played this role, and noted that she was fitted for a prosthetic nose and chin just today – items which must be whipped off quickly when the witch is transformed into a beautiful woman. The transformation should not be difficult, as Debby has a natural beauty. It is creating make-up for her to look like an evil witch which may take some doing. She commented on the delightful challenge she has in stepping “Into the Woods,” noting that composer Stephen Sondheim’s lyrics are so terrific that she feels she must work hard to accurately portray the part. 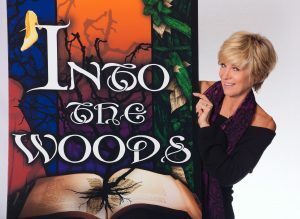 Debby Boone is a great talent on her own, and will shine at the Candlelight, continuing to “light up” everything she touches. Debby will be singing Sondheim’s great lyrics at Candlelight from May 19 to June 5. 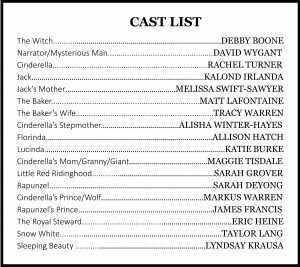 When she leaves the show in early June the role of the witch will be played by Beth Beyer.